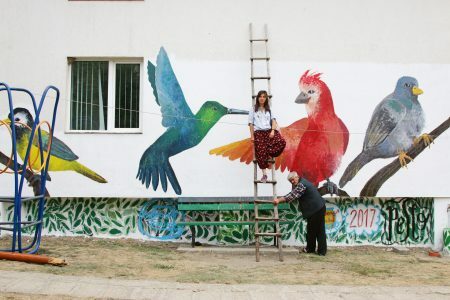 Project „Peace Factory” was a common initiative of 8 international organizations from: Poland, Latvia, Lithuania, Macedonia, Italy, Greece, Bulgaria, Romania. Our project gathered 20 youth workers and 2 experienced trainers according to theirs’ work among stress management, mind-fullness, conflict resolutions, in Poronin (Poland) between 4th and 13th of September 2017. In an non formal environment we directly influenced participants with experiencing and reflecting on stress management activities. During 10 days participants developed habits based on the concept of mindfulness. We especially emphasized theirs’ experience among applied drama, theatre of oppressed, yoga activities and morning meditation sessions. Moreover we will encouraged them to use concepts of active listening and non violent communication in their free time activities, so they will not only get familiar with the concept and practical use and implementation of mentioned during sessions but also, which is even more desirable – experience its positive impact „here and now”, in non formal environment. The most important element according to our project is a common contribution. 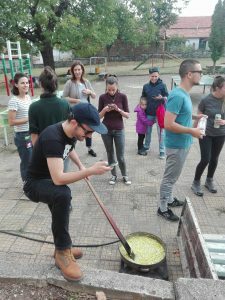 Participants were working in international groups among creation of new tools and activities, that after the main activities would be able to re-frame and use in theirs’ local communities. 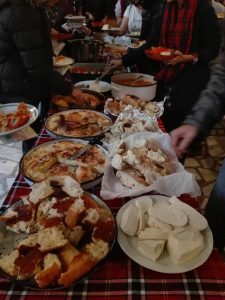 The “delicious” results include: traditional winter food supplies cooked together, renewed community spaces, new signs at local eco-trails and an abundant celebration of this authentic interaction! 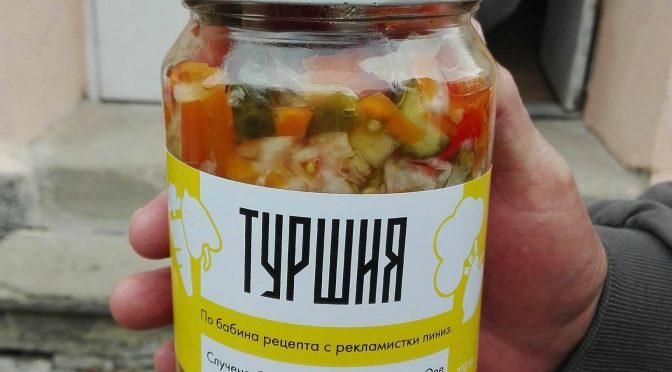 Thank you, Publicis One Bulgaria, for trusting us! 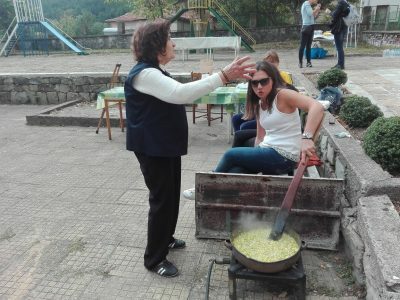 Baba Residence 2017 took place in Gotse Delchev region of Bulgaria. 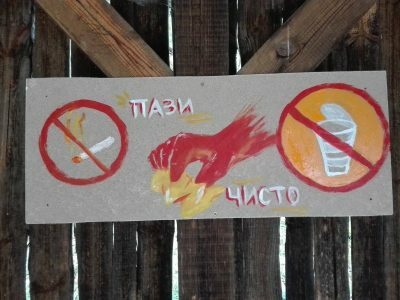 Young urban people with diverse background spent their dailyhood from 3rd until 25th of September in Lazhnitsa village. 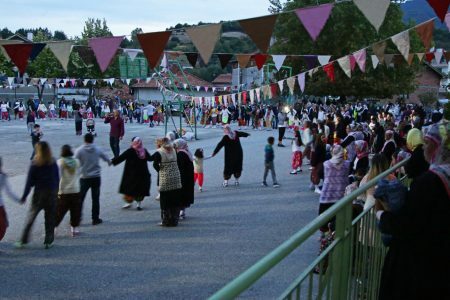 It is a flourishing village – with lively crafts, preserved folklore and a healthy desire of the local people to celebrate life together. Those hale community bonds are one of the most precious examples we all take in our hearts from this Residence. 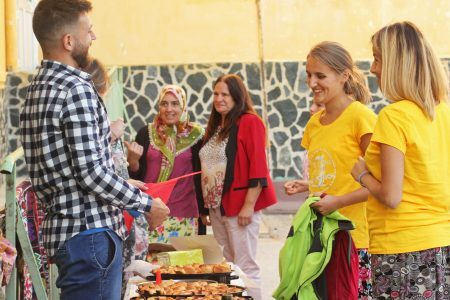 After living for a month in Lazhnitsa village in the households of young and elderly couples, those 9 young people (“residents”) organized a final event to celebrate the time spent together and the hospitality they met! 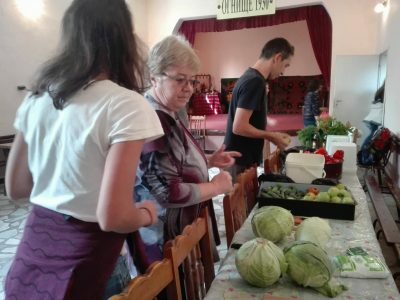 A long-long table with local food specialties was organized by local people! And we all shared it. 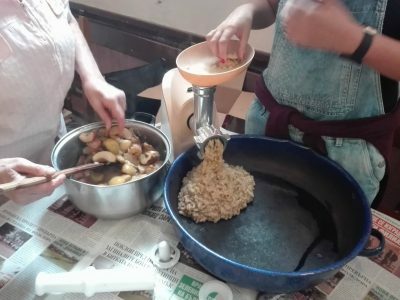 For the children, the residents organized two workshops. One of them was a competition-like stringing of tobacco leaves. Tobacco is one of the most widespread cultures in the region and the ability to string the leaves – needed. 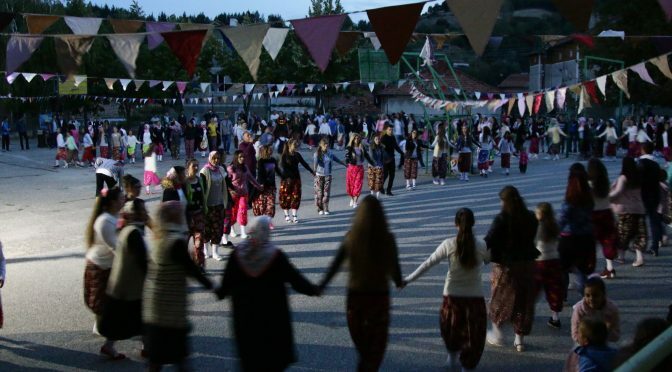 The long-twisted “horo” dance is a part of every celebration of togetherness in the village. It goes until late night. Just like each organic creation, The factory goes through many natural changes and adaptations. 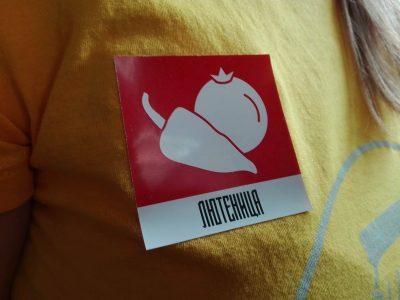 Yanina, one of the founders of Ideas Factory and visible from most of the public apperances of the association, is withdrawing for a while due to a beautiful pregnancy! She’s passing on the torch temporarily to another devoted socially-responsible visionary. If you ready to dive in a deep and broad changemaking enterprise in a very responsible position, if you have managing skills and you really cherish playfulness and creativity as changemaking instruments, join us! All applications will be treated as strictly confidential. Only short-listed applicants will be contacted. About us Ideas Factory is an inspiring hub for social innovations – incubating change and serving the communities we work with by building the capacity in a new generation of social innovators. 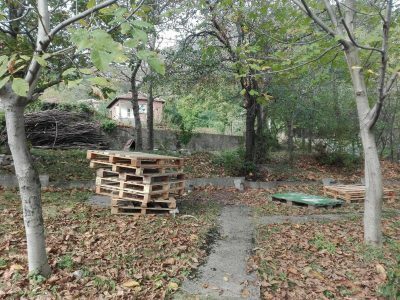 For the past 2 years Baba Residence has been our answer to the problem of depopulation of Bulgarian villages and the gradual loss of their cultural heritage. It’s where generations open-heartedly meet, where villages and cities come together in the search of a beneficial common ground between the community, the local culture, and of course, you. 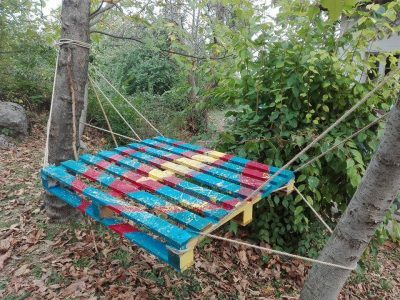 By taking part in the program Baba Residence 2017, participants make the decision to engage in a 7-month long challenge, only a month of which is field work in a village in the Gotse Delchev region. 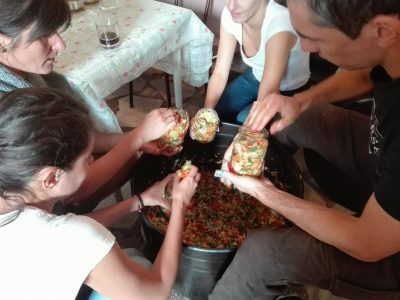 Every single day of this month they will be diving into the everyday and emotional needs of the village and their hosts. 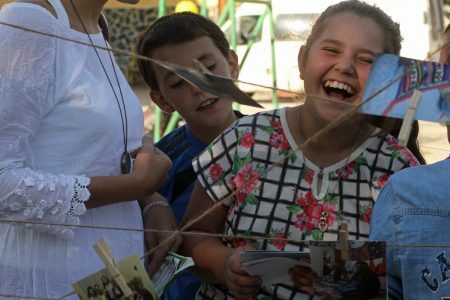 They will learn about and document the remaining bits of folklore and use the observations and their social-entrepreneurial mindset to develop their own (or a group) idea, which would help the village. 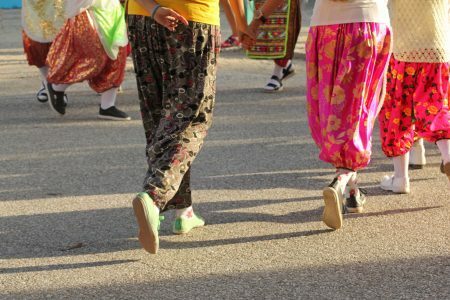 The participants will themselves answer what the village needs in order to blossom again while getting to know the ones who make up its folklore – the local people. 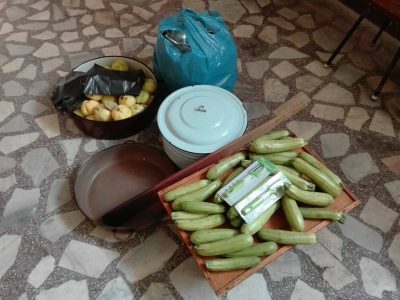 This year the month of field work will take place in a village in the Gotse Delchev region from 31st August to 25th September. We become a part of the organisation of next Tandem Europe! HURRAY (in tandem)! 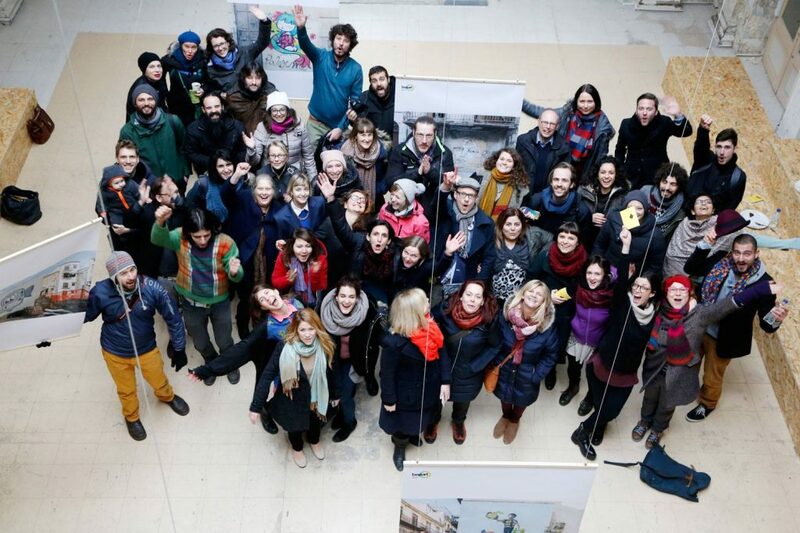 Officially, we’re now part of the organisational team of the next round of the international programme for creative interaction between cultural managers and activists from whole Europe Tandem Europe! We’re in it together with 4iS (Aveiro) and This Is Comm’on (Athens). This year the focus is shifting towards developing a social innovation, based on the cultural exploration of the community/ environment of the participants’ countries. Our responsibility as co-organizers is the first event from the programme – a Partner forum in October 2017 (10-15), during which all the candidate-tandemians will meet for the first time. 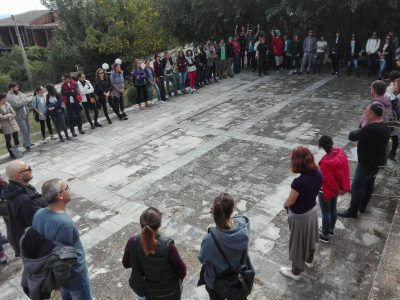 The forum will submerge them during 5 intense days into many interactions, a world cafe, games and field work. The purpose – all of them (around 100 people) will form the desired two-country tandems. They will work as such during one who year and will develop a product/ initiative/ event etc., which could be an instrument for overcoming certain community problem. 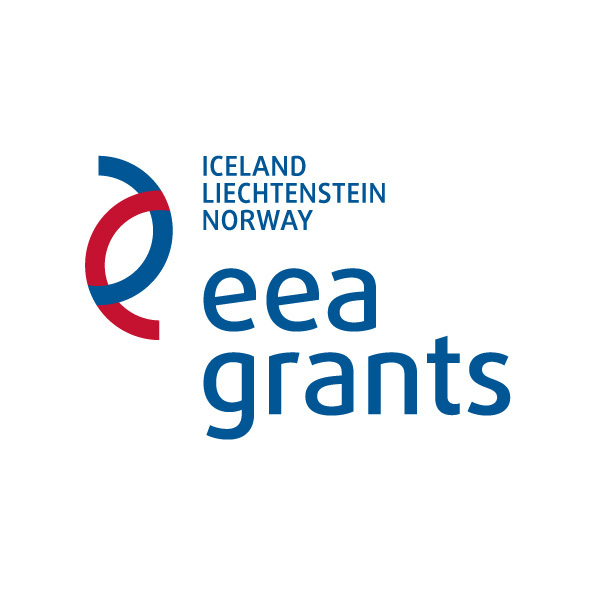 The application for the programme is open from 15th of May until 30th of June! Let there be Tandems! 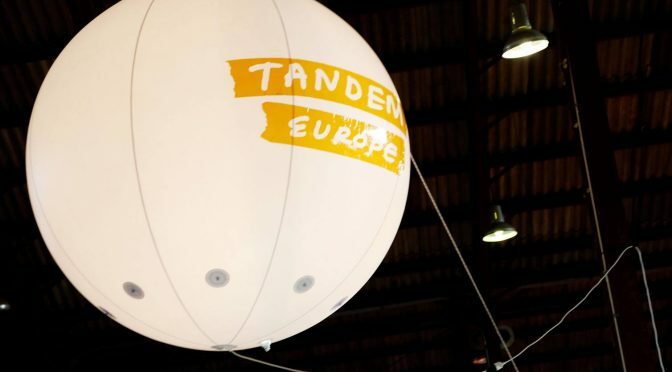 More about Tandem Europe and the ways you can get involved, find here -> HERE! 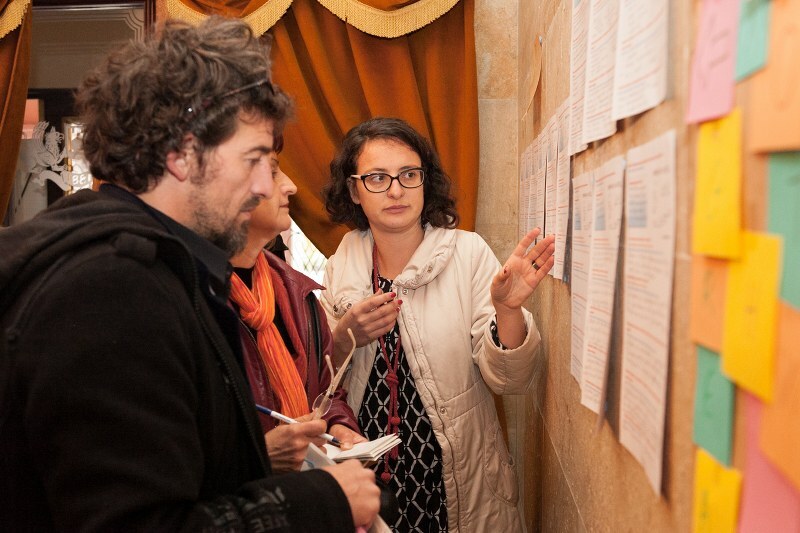 On 13, 14 and 15 November 2015 EMPATHEAST – the forum for empathy-driven social change – will transform Sofia into an area for social innovations, created by and for the community. 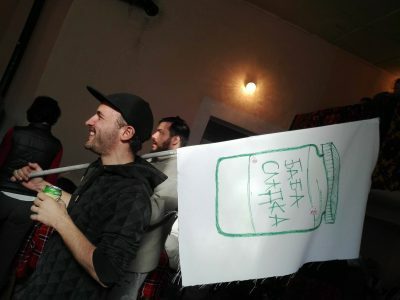 EMPATHEAST gathers “realistic dreamers” from around the world and the region, challenges and stimulates the collective creativeness with meetings, interactive formats, lectures, discussions, installations, games and performances. All of that is there to demonstrates how we call be part from a shared vision, nourished by empathy for real. 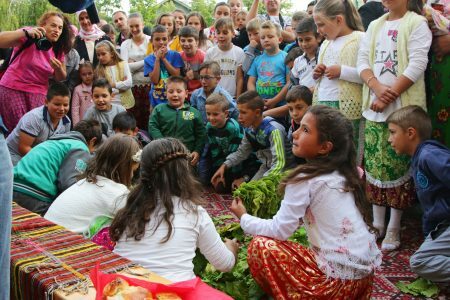 This year we play with the topic “Community-led innovations” and the bright palette of human-centered solutions: self-organized and independent civil systems and communities, ethical finance for positive social impact, food independence, exchange of knowledge between generations, proactive participation in the development of the urban environment. Follow the news on FACEBOOK and register quickly because the places are limited! 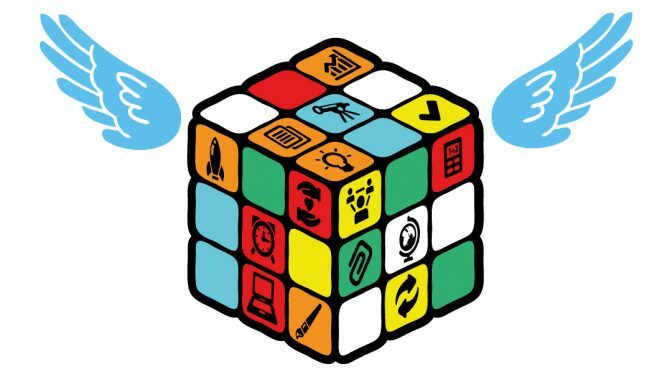 The Social innovation challenge’s second edition is a reality! 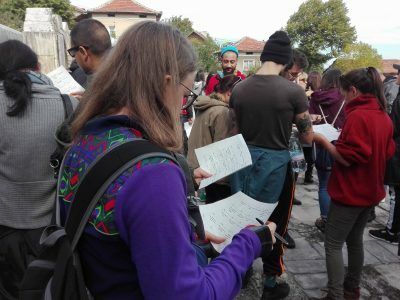 We received registrations from 43 inspired teams from Sofia, Vratsa, Plovdiv, Ruse and Burgas, 134 challenged changemakers from quite various backgrounds and professions and a handful of missions (well, 43). 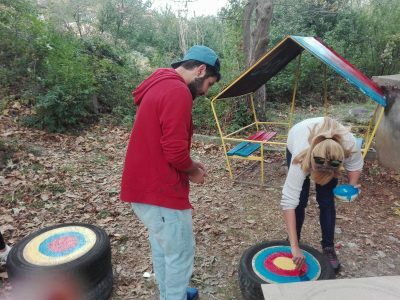 In the evening of 25 September each team received its mission! On Sept. 29 they delivered the solutions to their Angels (mentors) and to the Ideas Factory team. 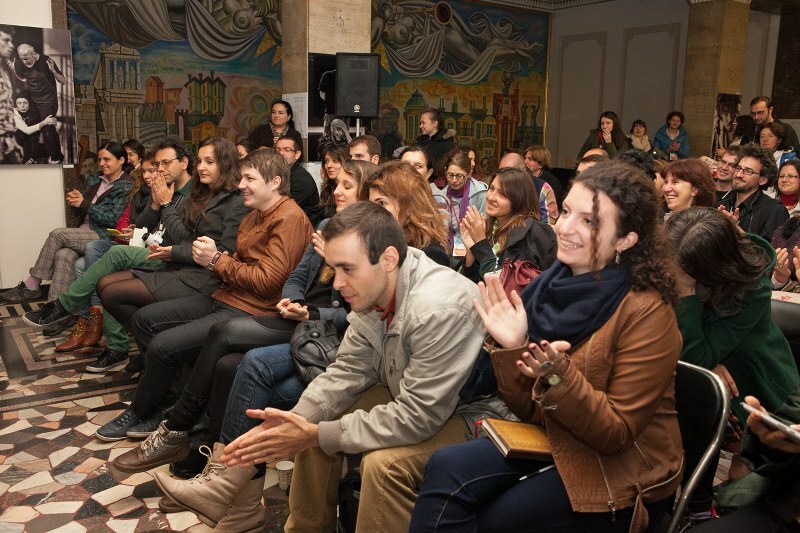 On Oct. 1st followed regional presentations in all 5 cities involved in the challenge this year and the teams with the most sustainable and innovative solutions had the chance to present them in Sofia, where more people will hear and support them on Oct. 8th. These teams joined the Incubator for social innovations which was in the middle of October. After working with mentors for almost a month those teams will get the chance to look for sponsors and supporters at a spacial event during EMPATHEAST – the forum for empathy-driven social change organized by the Ideas Factory at the end of every year. Follow all recent news on the Social Innovation Challenge here. We have also fulfilled Dance with me! Our last year wishes come true boldly! Now, we were able to actualize Dance with me too! 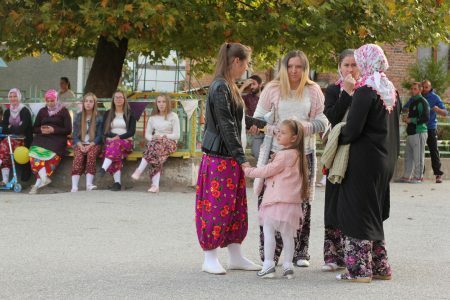 For a full 10 days Karlovo and its surroundings had become a gathering point for dancers from near and far – Bulgaria, Croatia, Hungary, Latvia, Lithuania, Israel, Greece, Georgia and the Netherlands. 29 participants experimented with techniques of contemporary dance and learned to use them in their work with groups. 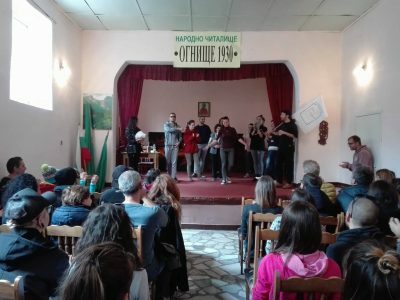 The result – on the 19th of June, the participants performed 3 performances! The first location was the community center in the city of Bania, where a part of our audience were women from the home for elderly people with mental retardation; then we went to the square in the village of Kliment – we managed to capture even the attention of the youngest, who were mimicking the movements of the dancers; and finally we put the icing on the cake on the central square in Karlovo! The process wouldn’t have been so successful if we didn’t have the ground of the “Vasil Levski” Primary School, 1861, where our dancers had their rehearsals – we are very grateful! You can see photos from the process and the performances HERE! The “Ideas Factory” project “Dance with me” is funded by Erasmus + program of the European Union. 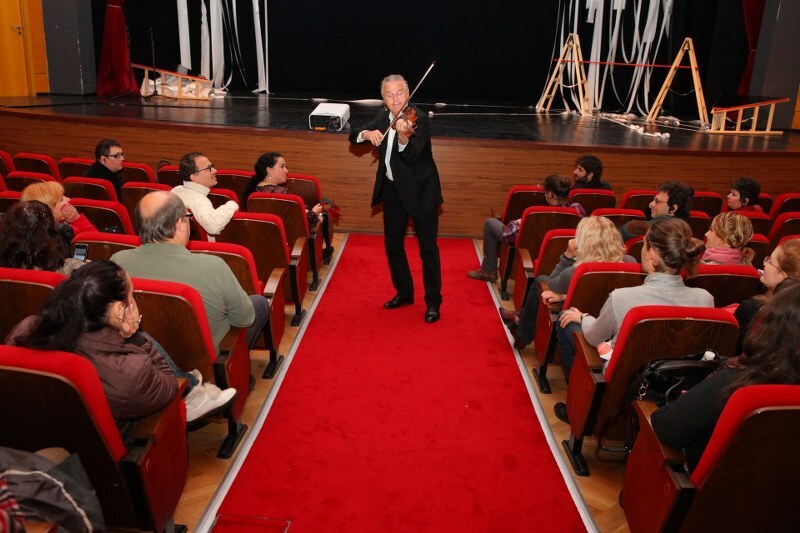 The four-day inspiring training organized by Ideas Factory at the school museum “St. 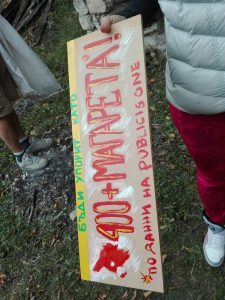 George” in Asenovgrad, gathered at one place all approved candidates for “Baba Residence “ for the first time! 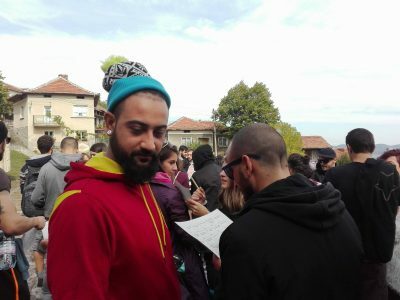 Dobrich, Varna, Popovo, Gorna Oryahovitsa, Ruse, Plovdiv, Stara Zagora, Karlovo, Burgas, Sofia, Vienna, Berlin – these are some of the cities that are associated with our 20 motivated participants. 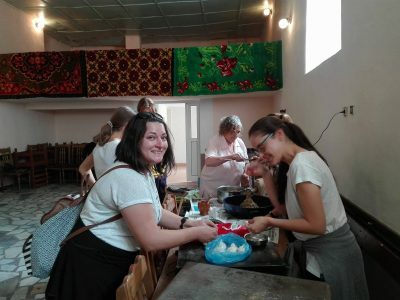 Only a month before heading to the villages, the enterprising young people gained skills in areas such as emotional and social intelligence, ethnological fieldwork, local economy, met the representatives of the Luki Municipality and the Municipal Foundation “Plovdiv 2019”. 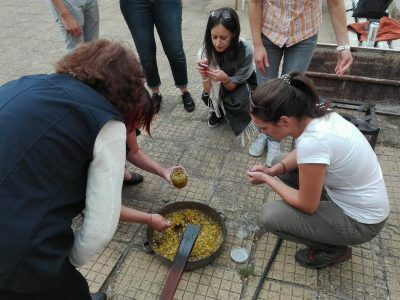 During the training, the future residents found supporters and mentors for the accomplishment of their ideas, linking traditional knowledge and resources of the village with the contemporary possibilities of marketing and production. 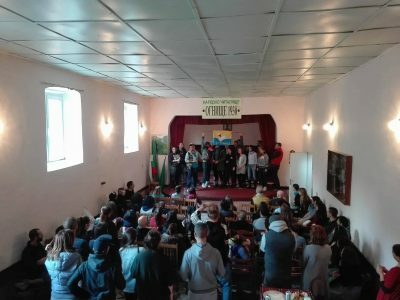 The lecturers from the Ongal Association introduced the young people into the specifics of communication and lifestyle of the local people in Luki Municipality, and economist Dimitar Subev gave practical examples of the variety of activities offered by the villages, as resources and opportunities for business development. 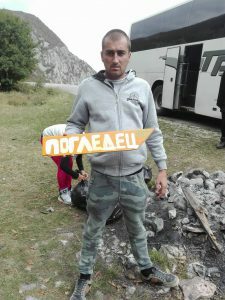 The frightening statistics is that Bulgaria is among the most urbanized countries in the Balkans – 73% of the population lives in the cities, which leads to the release of a huge market niche and somewhat explains the new trend of increasing rate of resettlement from the towns to the villages in the past year. 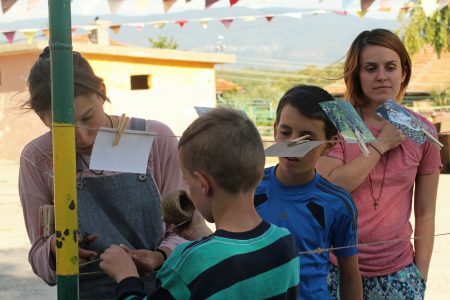 There is another challenge before the young participants and the local residents – to organize events, together, in mid-August, in each of the villages – Manastir, Yugovo, Drianovo and Dzhurkovo. 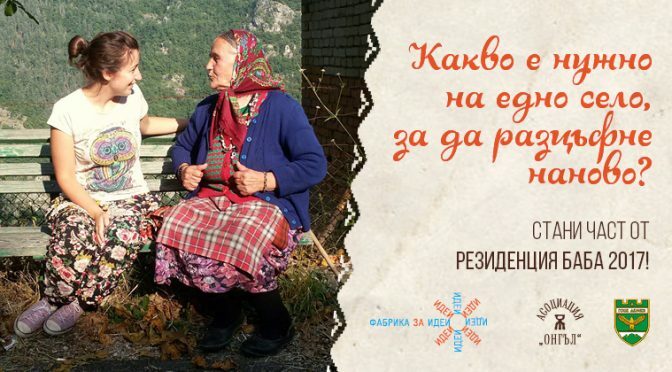 This way friends and fans of the cause “Baba Residence” will be able to meet in person with the participants, visit the villages and taste the fruit of the joint efforts of urban children and Rhodope elderly people. 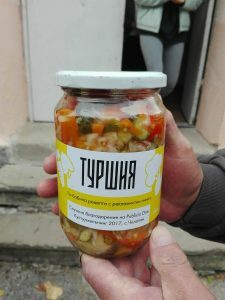 The project “Baba Residence” is financed through the “NGO Programme in Bulgaria under the Financial Mechanism of the European Economic Area 2009-2014”. Our partners are Association for Anthropology, Ethnology and Folklore studies “Ongal” and Foundation “Plovdiv 2019”.